04:06 PM - Electriceclectic mentioned acpart in post Confusion regarding Leopard Gecko heating requirements? 12:43 PM - amsdadtodd mentioned acpart in post What kind of boyfriends should I get for my girls? 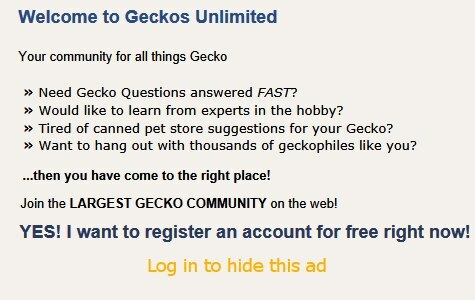 04:42 PM - Elizabeth Freer mentioned acpart in post `Do I have a correct list of what my leopard gecko will need? ...nia? Nope. Maybe acpart knows some? 06:44 PM - amsdadtodd mentioned acpart in post I need some advice! 01:21 AM - Taherlilly18 mentioned acpart in post Are these eclipse eyes? 08:31 PM - Tongue Flicker mentioned acpart in post Any idea? 02:49 AM - Elizabeth Freer mentioned acpart in post Please read and help anybody!! 12:51 AM - LadyShinron quoted acpart in post UTH, overhead lamp, or both? 04:06 AM - Elizabeth Freer quoted acpart in post New Gecko Mama! 12:08 AM - acpart quoted Elizabeth Freer in post New Gecko Mama! 12:25 AM - Elizabeth Freer quoted acpart in post New Gecko Mama! 02:53 AM - Elizabeth Freer quoted acpart in post Never underestimate a female Ptychozoon kuhli! 10:29 PM - leopardman quoted acpart in post Is a 3 year old female worth the investment for future breeding plans? 11:11 PM - acpart quoted Leahwitty in post What does my leopard gecko’s morph mean? 01:02 AM - leopardman quoted acpart in post When do I need to add new blood into a line I’m working with? 01:53 AM - leopardman quoted acpart in post When do I need to add new blood into a line I’m working with?